July 19, 2015 .Reading time 2 minutes. I thought I would mix it up a little bit today and share with you my dog edition of subscription week! My Aunt’s Dog – Nala – Ready for the fun to begin! I started getting some subscription boxes for myself and realized how much fun it is to get a little something new each month as sort of a surprise in the mail. I had gotten my dog a BarkBox before for Christmas – but was feeling generous so I signed him up for a 6 month subscription. We currently have 3 dog’s in our house and they LOVE the BarkBox each month. Sign up for Barkbox here! 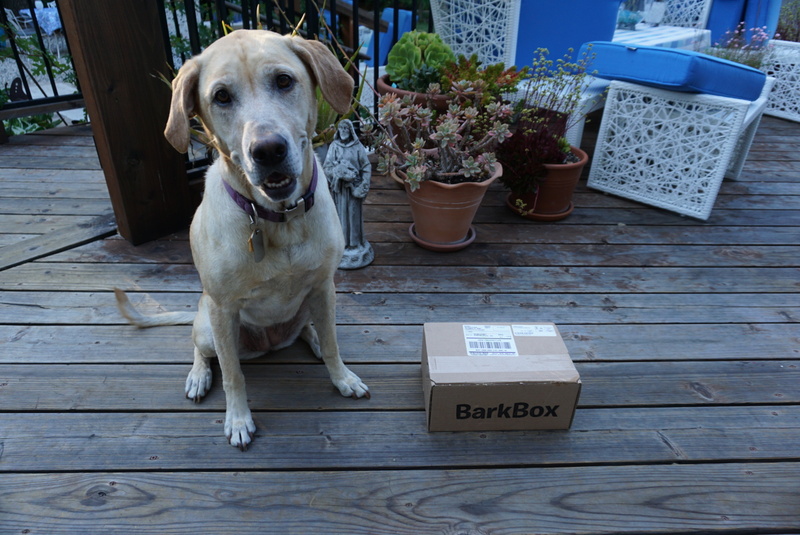 My dogs LOVE the BarkBox – you can also customize it to your dog’s size. This month the pups got a great box. 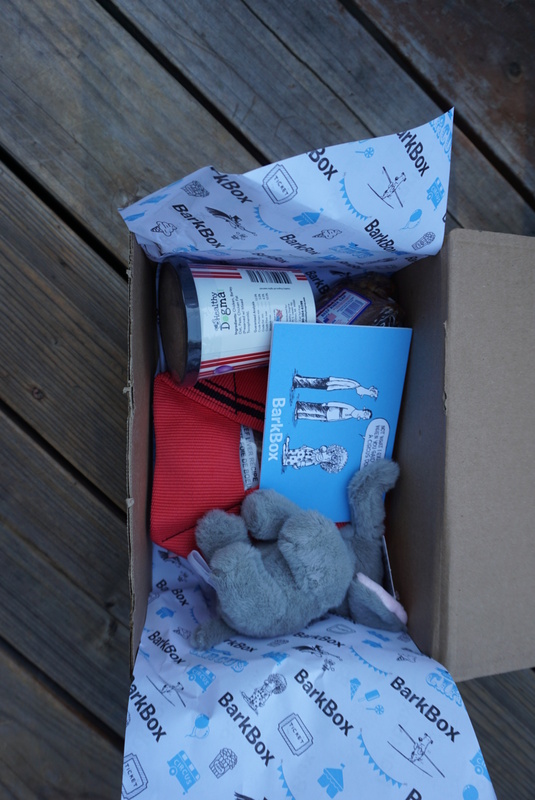 The box came with two squeaky toys – the elephant you can see above and a red cloth frisbee esk toy. They also got two containers of dog treats (totally don’t have the brand names because one of the animals chewed up the card with all the details – typical!). Lastly, the box came with a beef kneecap that I know all the dogs will be fighting over at some point in the near future. 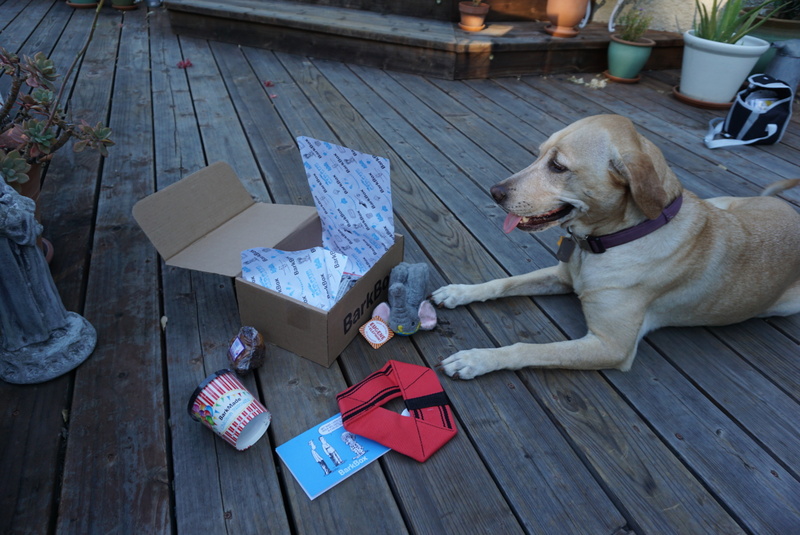 BarkBox is a great subscription service for when you feel like spoiling your dogs. I think it is great to order a single box here and there for special occasions like christmas and birthdays!